This post is short and sweet and gets to the point! I was not ever a fan of tea, matter of fact any kind of tea. It tasted bitter and for me it was unbareble. So when I heard of Green tea, I thought it would probably taste worst. But I will admit I was wrong I really enjoy it. Not the regular kind of tea, the green kind. I drink the peach flavor which, in my opinion tastes really really good! There is also a Lemon ginger herb tea that I have to try. Also both teas are from the same brand Bigelow. 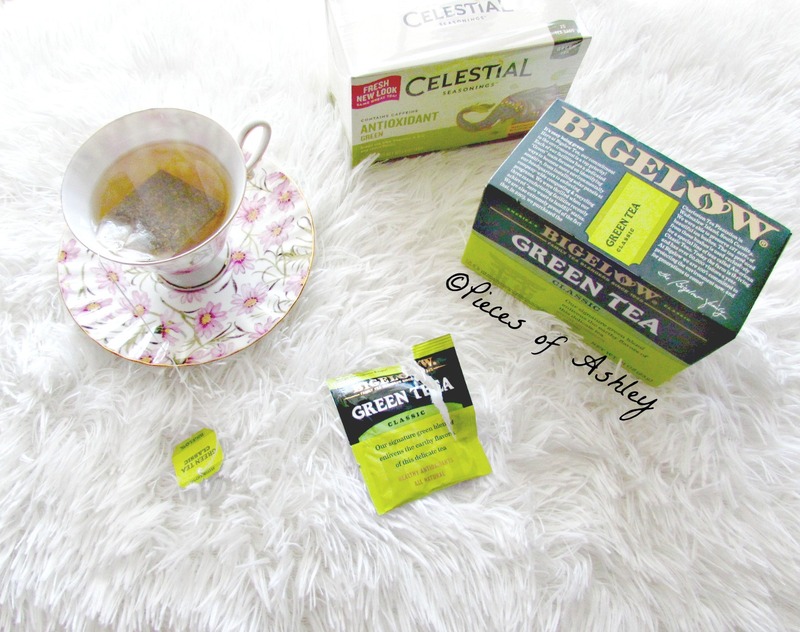 This green tea is high in antioxidants and has no calories. Even better, no carbs or fat. It's also gluten free. This tea or any tea cleanses the body of bad toxins and when I drink this tea, I feel refreshed. I have not tried the Lemon ginger tea, but I hear it tastes really. It is on my kitchen table, but I wasn't sure whether I should try it. This tea supports healthy digestion, so that's a plus for me. The tea bag smells good, so I am positive the tea in general will smell even better! I hope you enjoyed reading and let me know what type of tea you like! need to buy some tea!! !